Rumors of Apple's intent to enter the augmented reality hardware space gained traction on Monday, as a report from AR/VR evangelist Robert Scoble claims the company is partnering with optics manufacturer Carl Zeiss on a pair of lightweight glasses. Zeiss VR One Plus smartphone VR headset. Citing an unnamed employee at Zeiss, Scoble reports Apple is working on a pair of augmented reality/mixed reality glasses that could debut next year. Further, Scoble says the partnership explains why the Zeiss booth at CES 2017, located in the middle of the AR section, had no AR, VR or mixed reality optics to demonstrate. The theory is that Apple muzzled the company until the supposed tie-up is announced —or falls through. 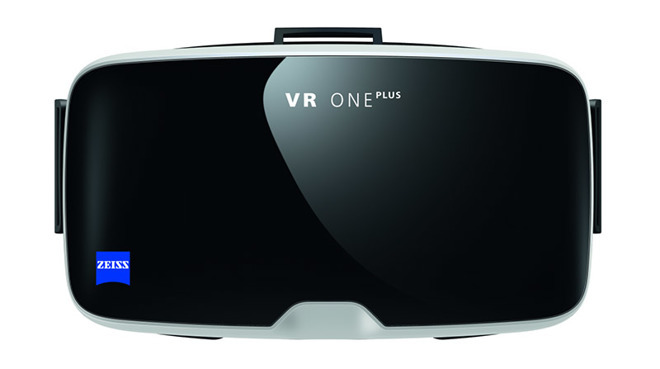 Zeiss currently markets the VR One Plus, a headset with special optics that turns almost any smartphone into a virtual or augmented reality system. Similar products, commonly called viewers, are available from Samsung and Google. Though today's report offers little beyond a tasty tidbit from an anonymous inside source and rampant —if not soapy —speculation, it provides circumstantial evidence that Apple is at least mulling an entry into the AR/VR consumer hardware space. Apple has in the past shown interested in AR, with CEO Tim Cook trumpeting the technology on more than one occasion, but how or when the company plans to enter the sector is unclear. "We are high on AR for the long run, we think there's great things for customers and a great commercial opportunity. So we're investing," Cook said during an earnings conference call last year. In November, noted analyst Ming-Chi Kuo predicted Apple to take baby steps toward a holistic AR solution over the coming months, saying a standalone system is unlikely to debut for at least one to two years. Exactly what ilk of AR headset Apple will field is unknown. AR tech, best described as a layer of digital information overlaid onto the physical world, could greatly impact the way in which users interact with existing platforms like iOS and Apple TV. Kuo mused that AR might find its way into Apple's car initiative. In fact, Apple was recently said to be testing heads-up display with Siri integration as it pivots away from self-driving hardware to supporting software systems. Beyond Cook's affirmations that AR is an interest to Apple, there is ample evidence that the company is quickly growing out an internal AR team through strategic hires and segment purchases including motion capture specialist Faceshift, machine learning and computer vision startup Perceptio, German AR firm Metaio and Flyby Media, among others. Those acquisitions, some of which are considered "acqui-hires," go along with in-house development of transparent displays, iPhone-powered VR rigs, AR maps and other related technologies.